In the conventional practice of early heart disease prevention, cholesterol testing takes center stage. Rarely does it go any further, aside from questions about family history and obvious sources of modifiable risk such as smoking and sedentary lifestyle. So standard practice is to usually look at your LDL cholesterol, the value that is calculated, not measured, then--almost without fail--prescribe a statin drug. While there are indeed useful values in the standard cholesterol panel--HDL cholesterol and triglycerides--they are typically ignored or prompt no specific action. --Lipoprotein testing--Rather than using the amount of cholesterol in the various fractions of blood as a crude surrogate for lipoproteins in the bloodstream, why not measure lipoproteins themselves? These techniques have been around for over 20 years, but are simply not part of standard practice. Lipoprotein testing especially allows you to understand what proportion of LDL particles are the truly unhealthy small LDL particles (that are oxidation- and glycation-prone). It also identifies whether or not you have lipoprotein(a), the heritable factor that confers superior survival capacity in a wild environment ("The Perfect Carnivore"), but makes the holder of this genetic pattern the least tolerant to the modern diet dominated by grains and sugars, devoid of fat and organ meats. --25-hydroxy vitamin D--The data documenting the health power of vitamin D restoration continue to grow, with benefits on blood sugar and insulin, blood pressure, bone density, protection from winter "blues" (seasonal affective disorder), decrease in falls and fractures, decrease in cancer, decrease in cardiovascular events. I aim to keep 25-hydroxy vitamin D at a level of 60 to 70 ng/ml. This generally requires 4000-8000 units per day in gelcap form, at least for the first 3 or so years, after which there is a decrease in need. Daily supplementation is better than weekly, monthly, or other less-frequent regimens. The D3 (cholecalciferol) form is superior to the non-human D2 (ergocalciferol) form. --Hemoglobin A1c (HbA1c)--HbA1c represents glycated hemoglobin, i.e., hemoglobin molecules within red blood cells that are irreversibly modified by glucose, or blood sugar. It therefore provides an index of endogenous glycation of all proteins of the body: proteins in the lenses of the eyes that lead to cataracts; proteins in the cartilage of the knees and hips that lead to brittle cartilage and arthritis; proteins in kidney tissue leading to kidney dysfunction. HbA1c provides an incredibly clear snapshot of health: It reflects the amount of glycation you have been exposed to over the past 90 or so days. We therefore aim for an ideal level: 5.0% or less, the amount of "ambient" glycation that occurs just with living life. We reject the notion that a HbA1c level of 6.0% is acceptable just because you don't "need" diabetes medication, the thinking that drives conventional medical practice. --RBC Omega-3 Index--The average American consumes very little omega-3 fatty acids, EPA and DHA, such that a typical omega-3 RBC Index, i.e., the proportion of fatty acids in the red blood cell occupied by omega-3 fatty acids, is around 2-3%, a level associated with increased potential for sudden cardiac death (death!). Levels of 6% or greater are associated with reduced potential for sudden cardiac death; 10% or greater are associated with reduced other cardiovascular events. 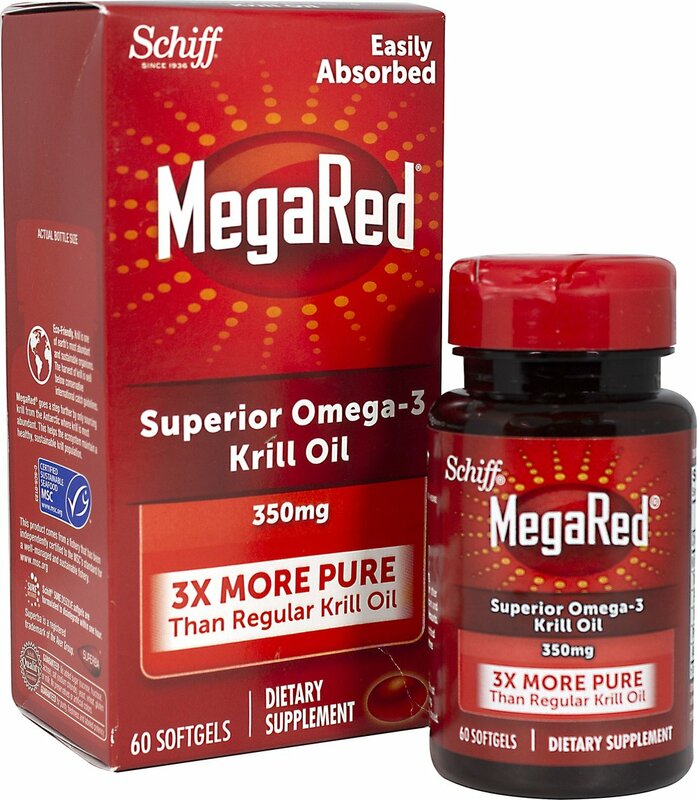 Evidence therefore suggests that an RBC Omega-3 Index of 10% or greater is desirable, a level generally achieved by obtaining 3000-3600 mg EPA + DHA per day (more or less, depending on the form consumed, an issue for future discussion). --Thyroid testing (TSH, free T3, free T4)--Even subtle degrees of thyroid dysfunction can double, triple, even quadruple cardiovascular risk. TSH values, for instance, within the previously presumed "normal" range, pose increased risk for cardiovascular death; a TSH level of 4.0 mIU, for instance, is associated with more than double the relative risk of a level of 1.0. Sad fact: the endocrinology community, not keeping abreast of the concerning issues coming from the toxicological community regarding perchlorates, polyfluorooctanoic acid and other fluorinated hydrocarbons, polybrominated diphenyl ethers (PDBEs), and other thyroid-toxic compounds, tend to ignore these issues, while the public is increasingly exposed to the increased cardiovascular risk of even modest degrees of thyroid dysfunction. Don't commit the same crime of ignorance: Thyroid dysfunction in this age of endocrine disruption can be crucial to cardiovascular and overall health. All in all, there are a number of common blood tests that are relevant--no, crucial--for achieving heart health. Last on the list: standard cholesterol testing. Happy Thanksgiving 2012, everyone, from all the staff at Track Your Plaque! Apple, cranberry, and cinnamon: the perfect combination of tastes and scents for winter holidays! In large bowl, combine almond meal, butter, sweetener, cinnamon, molasses, vanilla, and salt and mix. Grease a 9½-inch tart or pie pan. Using approximately 1 cup of the almond meal mixture, form a thin bottom crust with your hands or spoon. In another bowl, combine cream cheese, eggs, and sweetener and mix with spoon or mixer at low-speed. Pour into tart or pie pan. Core apple and slice into very thin sections. Arrange in circles around the edge of the cream cheese mixture, working inwards. Distribute cranberries over top, then sprinkle cinnamon over entire mixture. Gently layer remaining almond meal crumble evenly over top. Bake for 30 minutes or until topping lightly browned. --Intelligent--The bell curve of IQ is shifted rightward by a substantial margin. --Athletic--With unusual capacity for long-endurance effort, thus the many marathoners, triathletes, and long-distance bikers with Lp(a). In other words, people with Lp(a) have an evolutionary survival advantage. More than other people, they make clever, capable hunters who can run for hours to chase down prey, not requiring food or water, and less likely to succumb to the infections of the wild. In a primitive setting, people with Lp(a) are survivors. Evolution has likely served to select Lp(a) people for their superior survival characteristics. But wait a minute: Isn't Lp(a) a risk for heart attack and stroke? Don't we call Lp(a) "the most aggressive known cause for heart disease and stroke that nobody gives a damn about"? Yes. So what allows this evolutionary advantage for survival to become a survival disadvantage? Carbohydrates, especially those from grains and sugars. Let me explain. More so than other people, Lp(a) people express the small LDL pattern readily when they consume carbohydrates such as those from "healthy whole grains." Recall that the gene for Lp(a) is really the gene for apoprotein(a), the protein that, once produced by the liver and released into the bloodstream, binds to an available LDL particle to create the combination Lp(a) molecule. If the LDL particle component of Lp(a) is small, it confers greater atherogenicity (greater plaque-causing potential). Thus, carbohydrate consumption makes Lp(a) a more aggressive cause for atherosclerotic plaque. The situation can be made worse by exposure to vegetable oils, such as those from sunflower or corn, which increases production of apo(a). Also, more than other people, Lp(a) people tend to show diabetic tendencies with consumption of carbohydrates. Eat "healthy whole grains," for instance, or if a marathoner carb-loads, he/she will show diabetic-range blood sugars. I have seen long-distance runners or triathletes, for instance, have a 6 ounce container of sugary yogurt and have blood sugars of 200 mg/dl or higher. The extreme exercise provides no protection from the diabetic potential. Because carbohydrates are so destructive to the Lp(a) type, it means that people with this pattern do best by 1) absolutely minimizing exposure to carbohydrates and vegetable oils, ideally grain-free and sugar-free, and 2) rely on a diet rich in fats and proteins. The perfect diet for the Lp(a) type? It would be a diet of feasting on the spoils of the hunt, devouring the wild boar captured and slaughtered and eating the snout, hindquarters, spleen, kidneys, heart, and bone marrow, then eating mushrooms, leaves, nuts, coconut, berries, small rodents, reptiles, fish, birds, and insects when the hunt is unproductive. Capable hunter, survivor, consumer of muscle and organ meats: I call people with Lp(a) "The Perfect Carnivores." The NPR Health Blog contacted me, as they were interested in learning more about health strategies and tools that are being used by individuals without their doctors. The Track Your Plaque website and program came up in their quest, as it is the only program available for self-empowerment in heart disease. Several Track Your Plaque Members spoke up to add their insights. The full text of the article can be viewed here. Mainstream medicine isn't in favor of self-analysis, or seeking advice from non-professionals, of course. And anyone who does so is running a risk. But there are folks who want to change the course of their heart health with a combination of professional and peer support. Some are bent on tackling the plaque that forms in arteries that can lead to heart disease. They gather online at Track Your Plaque, or "TYP" to the initiates. "We test, test, test ... and basically experiment on ourselves and have through trial and error came up with the TYP program, which is tailored to the individual," Patrick Theut, a veteran of the site who tells Shots he has watched his plaque slow, stop and regress. The site was created in 2004 by Bill Davis, a preventive cardiologist in Milwaukee, Wisc. Davis is also the author of Wheat Belly: Lose the Wheat, Lose the Weight and Find Your Path Back to Health, which argues that wheat is addictive and bad for most people's health. Davis recommends eliminating wheat from the diet to most new members of Track Your Plaque. "The heart is one of the hardest things to self-manage but when you let people take the reins of control, you get far better results and far fewer catastrophes like heart attacks," Davis tells Shots. Doctors typically give patients diagnosed with heart disease two options: take cholesterol-lowering statin drugs, or make lifestyle changes, like diet. It's usually far easier for both parties — the doctor and the patient — to go with the drugs than manage the much more difficult lifestyle changes, Davis says. "Doctors say take the Lipitor, cut the fat and call me if you have chest pain," he explains. "But that's an awful way to manage care." TYP has members submit their scores from heart CT scans, cholesterol values, lipoproteins and other heart health factors to a panel of doctors, nutritionists and exercise specialists. Then they receive advice in the form of an individualized plaque-control program. But the online forum, where users share their results with other members and exchange tips, is where most of the TYP action happens. The community currently has about 2,400 members who pay $39.95 for a quarterly membership, or $89.75 for a yearly membership. Davis says all proceeds go towards maintaining the website. Ilaine Upton is a 60-year-old bankruptcy lawyer from Fairfax, Va., and a TYP member. At a friend's suggestion, Upton decided to get a heart CT scan in July. Her score was higher than it should have been (22 instead of 0), so she decided to get her blood lipids and cholesterol tested, too, and sent a sample off to MyMedLabs.com. She learned that her LDL particle count was over 2,000 ("crazy high," she says), and she posted her results on TYP. Davis advised her that a low-carb diet would reduce it, so she decided to try it. Since July, she says she has had "excellent results" with the program, and her LDL counts are coming down. "It would be nice to have a [personal] physician involved in this, but [my insurer] Blue Cross won't pay if you are not symptomatic, and I am trying to prevent becoming symptomatic," says Upton. "I feel very empowered by this knowledge and the ability to take better control of my health by getting feedback on the decisions I make." This is about as decadent as it gets around here! Here’s a recreation of an old-fashioned coffee cake, a version with a delicious chewy-crunchy streusel topping. I’ve specified xylitol as the sweetener in the topping, as it is the most compatible sweetener for the streusel “crumb” effect and browning. Variations are easy. For example, for an apple pecan coffee cake, add a layer of finely-chopped or sliced apples to the cake batter and topping. Additional potential carbohydrate exposure comes from the garbanzo bean flour and molasses. However, distributed into 10 slices, each slice provides 7.2 grams “net” carbs (total carbs minus fiber), a perfectly tolerable amount. Be careful not to exceed two slices! Preheat oven to 325º F. Grease bread pan. In bowl, combine almond flour, garbanzo flour, cinnamon, baking soda, sweetener, salt, and mix. In small bowl, whip egg whites and cream of tartar until stiff peaks form. At low speed, blend in egg yolks, vanilla, melted butter, and lemon juice. Pour liquid mixture into almond mixture and mix thoroughly. Pour into microwave-safe bread pan and microwave on high for 3 minutes. Remove and set aside. Spread topping on cake. Bake for 20 minutes or until toothpick withdraws dry. If you miss peanut butter and jelly sandwiches, you’re going to absolutely love these peanut butter and jelly macaroons! Not everybody loves the taste or texture of coconut. This issue is solved by the first step: toasting shredded coconut, then reducing them down to a granular consistency. This yields a macaroon consistency without the dominant coconut taste, replaced instead with the flavors of PB & J.
I’ve specified liquid stevia as the sweetener, but this is easily replaced by your choice of sweetener. Note that, regardless of which sweetener used, they vary in sweetness from brand to brand and the quantity required to equal the ½ cup of sugar equivalent can vary. It always helps to taste your batter and adjust sweetness. Also, I used Swerve in this recipe, the erythritol-inulin mix that enhances texture, but its use is optional. As written, each macaroon contains just over 3 grams “net” carbohydrates (total carbs minus fiber), meaning you can have several before doing any damage! In large bowl, combine coconut, vanilla and almond extracts, and mix. When cooled, using food chopper, food processor, or coffee grinder, pulse coconut mixture until coconut reduced to consistency of coffee grounds. Pour back into bowl. Stir in coconut flour. Place cherries or other berries in food chopper, food processor, or coffee grinder and pulse until reduced to small granules or paste. Remove with spatula and add to coconut mixture. Set aside. Place egg whites in bowl and whip until frothy and stiff peaks form. In small microwave-safe bowl, combine coconut oil and peanut butter and microwave in 10-second increments until warm (not hot) liquid. Stir in egg whites, followed by stevia and Swerve, and blend thoroughly. Dispense dough onto a parchment paper-lined baking sheet using a 1 ½-inch cookie scooper or spoons. I Wish I Had Lipoprotein(a)! --Very intelligent. I know many people with this genetic pattern with IQs of 130, 140, even 160+. --Good at math--This is true more for the male expression of the pattern, only occasionally female. It means that men with Lp(a) gravitate towards careers in math, accounting, financial analysis, physics, and engineering. --Athletic--Many are marathon runners, triathletes, long-distance bicyclists, and other endurance athletes. I tell my patients that, if they want to meet other people with Lp(a), go to a triathlon. --Poor at hydrating. People with Lp(a) have a defective thirst mechanism and often go for many hours without drinking water. This is why many Lp(a) people experience the pain of kidney stones: Prolonged and repeated dehydration causes crystals to form in the kidneys, leading to stone formation over time. --Tolerant to dehydration--Related to the previous item, people with Lp(a) can go for extended periods without even thinking about water. --Tolerant to periods of food deprivation or starvation--More so than other people, those with Lp(a) are uncommonly tolerant to days without food, as would occur in a wild setting. In short, people with Lp(a) are intelligent, athletic, with many other favorable characteristics that provide a survival advantage . . . in a primitive world. --Excess quantities of small LDL particles--Recall that Lp(a) is a two-part molecule. One part: an apo(a) made by the liver. 2nd part: an LDL particle. When the LDL particle within the Lp(a) molecule is small, its overall behavior is worse or more atherogenic (plaque-causing). --Hyperglycemia/hyperinsulinemia--which then leads to diabetes. Unlike non-Lp(a) people, these phenomena can develop with far less visceral fat. A Lp(a) male, for instance, standing 5 ft 10 inches tall and weighing 150 pounds, can have as much insulin resistance/hyperglycemia as a non-Lp(a) male of similar height weighing 50+ pounds more. Key to gaining control over Lp(a) is strict carbohydrate limitation. Another way to look at this is to say that Lp(a) people do best with unlimited fat and protein intake.